It's time that we make America smart again! 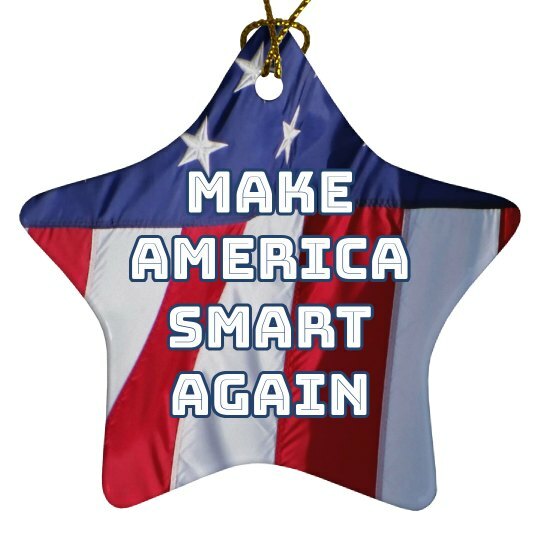 Snag this hilarious ornament that parodies Donald Trump's campaign slogan 'Make America Great Again'. Decorate your Christmas tree with funny, political decor.